If you’ve never been north of the border with America before then you’re in for a real treat to savour and not just because of the vast vats of maple syrup which are ready and waiting to be poured all over a triple stack pancake breakfast. Canada is just one of those countries which attracts all the right kind of people for all the right kind of reasons and if you’re into clean, fresh air and enjoying life in the great outdoors then there really is no finer destination on the planet. The Canadian Rockies (west), the Great Lakes (central) and the Maritime Islands (east) are all ideal locations to explore and discover within a wealth of intrinsically beautiful landscapes with plenty of healthy activities more than adding to the awesomeness. 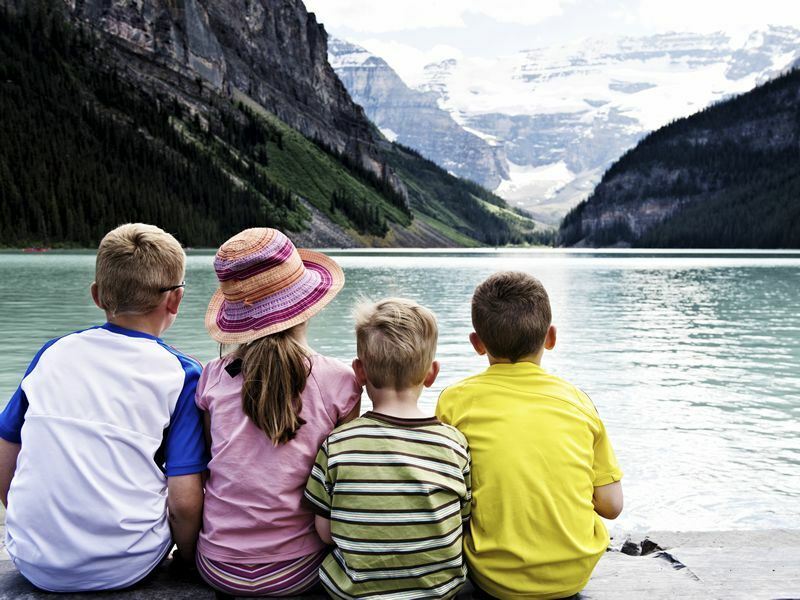 Sea kayaking, whale watching and mountain biking are just a few of the things to do in Canada during the summer with plenty of heritage tours and city sightseeing trips making for a rich and varied itinerary no matter who you’re thinking of travelling with. If winter sports are your thing then you’ll be pleased to hear that the likes of Banff, Lake Louise and Jasper national parks are brimming over with ski and snowboard potential during the colder months and there’s no better place to be in the whole of North America. With nightclubs, restaurants and more cafés than you can shake a bagel at, cities, such as: Montreal, Vancouver and Toronto, make for hugely inviting bases to get your party started as well as boasting plenty of family-friendly options to keep your little mounties happy and active all day long. The Atlantic coastline of Canada is simply stunning and although it may not boast as many mountain highs as the west coast it more than makes up for it with picturesque fishing villages and rugged windswept beaches. The Maritime provinces, in particular, offer an exceptional chance to get away from it all with the likes of Nova Scotia, New Brunswick and Prince Edward Island all holding more than their fair share of options for visiting couples and families looking for days spent outdoors. The Maritimes aside and the province of Quebec is yet another amazing easterly option with the city of Montreal always providing numerous cultural interludes to help you discover a little of piece of Paris this side of the Pond. Taste: No visit to the east coast of Canada is complete without at least sniffing a hot butter-dripping lobster roll. At the opposite edge of the country you’ll quickly discover why Canada is such a delight for wildlife watchers and outdoor adventurers as this is where the Rocky Mountains can be found and what a find they are! Mount Robson, Mount Columbia and Snow Dome are all well over 10,000 feet so if you’re feeling up for an ascent then you’ll no doubt be in your element from the moment your climbing boots touch the ground. With national parks, such as: Banff, Jasper and Yoho, promising no end of waterfalls, rivers and glacial hues, there are more than enough reasons to head west to the provinces of British Columbia and Alberta no matter what the time of year and no trip is complete without visiting Vancouver, one of the world’s most liveable cities. Wildlife: Whale watching off the west coast takes place from early April through to the end of October. If you find yourself heading inland from either west or east coast whilst staying in Canada then don’t panic, you’re never going to be far away from the water’s edge as this is the home of the country’s lake district. Simply known as the Great Lakes (show offs): Superior, Erie, Michigan, Huron and Ontario are all well-worth a visit in their own right and if you’re looking to paddle, fish and swim within some sublime environments then this is quite rightly one of the best places in the whole of North America. A great place to start any adventure into the wilds of central Canada is within the provinces of Ontario or Manitoba as both offer some superb locations to set up camp with Toronto (Ontario) and Winnipeg (Manitoba) providing the lion’s share of city sights and nocturnal entertainment. Escape: The Toronto Islands are car free and perfect for leisurely cycle rides to the beach. As Canada is vast (almost 4 million sq miles) there’s obviously a lot to see and do that you’re just going to have to miss out on however, a highlight of any tour will inevitably include a wildlife or nature adventure so there’s no point putting it off any longer. The west coast, in particular, is world-famous for grizzly bears, killer whales and Canada’s most iconic animal, the moose, and getting involved in an organised tour in Alberta or BC is most certainly the right way to get up close to some of the most exciting animal encounters on the planet. More reasons to get out of the city and into the great outdoors can be found in the Canadian Rockies which are quite simply stunning and an exceptional environment to explore and enjoy all-year-round. One of the best means of getting further into the mountain strewn provinces of the east coast is on the Rocky Mountaineer which is one of the world’s best train rides and a must for anyone hoping to take in the sublime scenery of the Rocky Mountains. Once you’ve had your fill of mountains or you just fancy a change of pace then you’ve got to check out the Maritimes as from tiny fishing villages to literary heritage, this is the perfect location to make the most of Canada’s Atlantic coastline and enjoy the best seafood this side of Margate. Taste: Maple syrup cured bacon on top of a stack of pancakes for breakfast – too good!